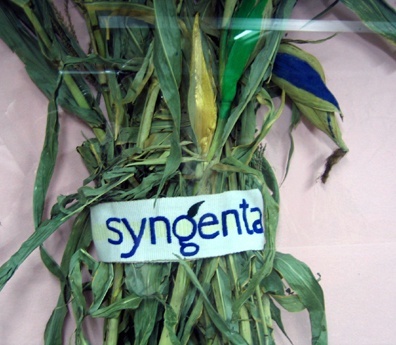 Syngenta is a Swiss based, global business involved in biotech research and the production of seeds, pesticides, and herbicides. Their herbicide, Gramoxone, was in wide use in the communities where I was working. Although its use has been disallowed in the EU since 2007, it's widely available throughout the non-industrialized world. In the US, it is classified as restricted use. It is toxic to humans if ingested.